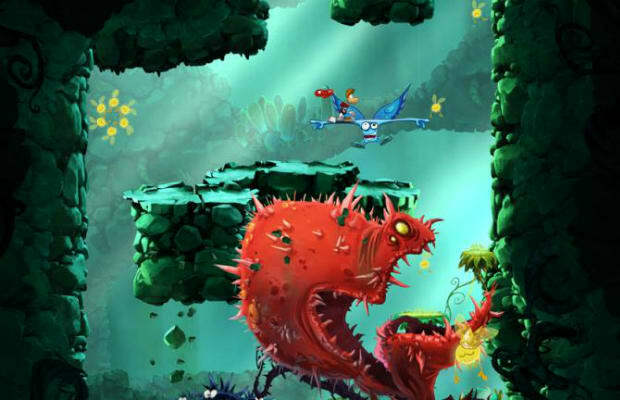 The Xbox 360 and PlayStation 3 versions of Rayman Origins were very well received, praised for relying on classic 2D platforming mechanics and delivering a rich artistic hand drawn look in the level designs. Anyone who has played it might think that it would be hard to appreciate the fine visual details on the Vita's screen, but Ubisoft has added a solution by allowing for pinch zooming. It is when you do zoom in that you really get to appreciate the near perfect 1-to-1 conversion quality from console to Vita. Up close, it’s difficult to spot any kind of graininess. Granted, you will have to zoom all the way out for many of the demanding platforming challenges, but the game is pretty enough for the occasional break to look closely and admire the visual handiwork. The only blemish is that the local multiplayer has been taken out, but there is at least an asynchronous competitive multiplayer by way of ghost time trial stage races.